content and materials endangering the privacy, safety or security of others. provide “leaks” or are dedicated to “doxxing” individuals. Any users who operate a board that breaches the revised Support Eligibility Policy will retain the public “denied support” marker, allowing other users to make an informed decision of their own whether they provide support to that user. In addition to these changes, MyBB staff members will not be chastised or penalised in any way for supporting users who have been denied official support. Although providing support to these users is down to the personal choice of individual staff members, they are not obligated to support anyone. If you are currently marked as “denied support” from the previous policy and believe that your forum doesn’t breach the revised Support Eligibility Policy then please get in touch with us by creating a new thread in the Private Inquiries forum. Include links to any forum(s) that you currently own. The team will review the site(s), verifying your ownership and either revoke your denial or explain the reason for retaining the denial. These changes have been designed to make the policy and position of the MyBB Group clearer. We hope that they have fully addressed issues members had raised about the previous Support Eligibility Policy. The new policy is now live and can be read in full on the MyBB website. This is our second interview for MyBB forum owners and it is spork985. Some of you may know of him from the forum and free mybb hosting website called IcyBoards. IcyBoards is featuring on this blog post and spork speaks to us exclusively about MyBB. 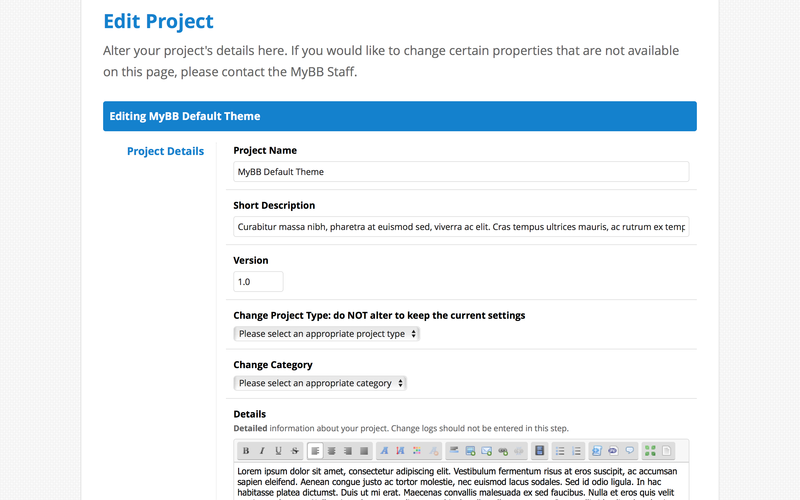 What features do you hope to see in MyBB 2.0 that would enable you to further develop your offering to the community? There are a lot of plugins we have installed that make very minor changes to the software. I feel MyBB could benefit from rolling some of these ideas in to the baseline code. Some examples include a “users online today” section, defaults for profile fields, redirect warning when the user clicks an external link, latest profile visits, and profile comments. I realize the importance of separation with regards to what a forum is designed to do, but I feel many of these features should be part of the core code and wouldn’t take much to implement. This would substantially cut down on the amount of 3rd party plugins we need to make available, maintain, and worry about upgrading. In most aspects, less plugins also means a more secure forum. What is your most favourite feature of MyBB currently? My favorite feature has to be the “purge spammer” button. It’s such a simple concept, yet I feel the person who came up with it is a genius. I always hated those mornings when I wake up, am eating my breakfast, open the forum, and… oh, this dude posted the same message 3 times in every single forum possible. Now I have to spend the next 20 minutes going through and deleting them one by one. Thank you to whoever came up with and implemented this idea. What is your LEAST favourite feature, and how can this feature be improved to better suit your personal requirements or wishes. One area I feel could use a little improvement is managing group permissions assigned to forums. It’s very easy at first, but once you have an established forum and want to add a group or even see the overall permissions a group has, it gets complex fast. This is made especially apparent once you start setting custom permissions beyond what the permissions interface has. Unfortunately, I’m not the creative type and don’t have a good suggestion for improvement. I do think a button to copy permissions between two forums would be extremely useful and eliminate some of the tediousness in setting things up/tediousness in an established forum where you have dozens of forums and user groups. What do you feel is done well at MyBB, and what would you like changing? Simply put, the code. Most good coding standards are being followed. When debugging and/or modifying, it is very easy to know where to look and quickly troubleshoot issues. Any developer is going to understand the headache of picking up someone else’s poorly-formatted code and trying to work with it. With MyBB, there is no headache at all. As for what I would like to change, we can go down the whole “opening brace on the same line” road, but I have a feeling most are not going to agree with me judging by the standards that were decided upon for MyBB 2.0 It really comes down to a matter of personal preference. Looking at IcyBoards, why do you choose to solely host MyBB? Most of the reasons just come down to personal preference, again. Before I started working on IcyBoards, I ran a few forums of my own. I tried several different software solutions, including phpBB, SMF, and PunBB. Honestly, I just didn’t like any of them. After IcyBoards was up and running for a few years, I did look at SMF hosting but the code was just… not fun. It was messy. Additionally, I decided that I would rather have one solid high quality service rather than have my time split between two separate services. Do you plan to provide hosting for 2.0? Absolutely. 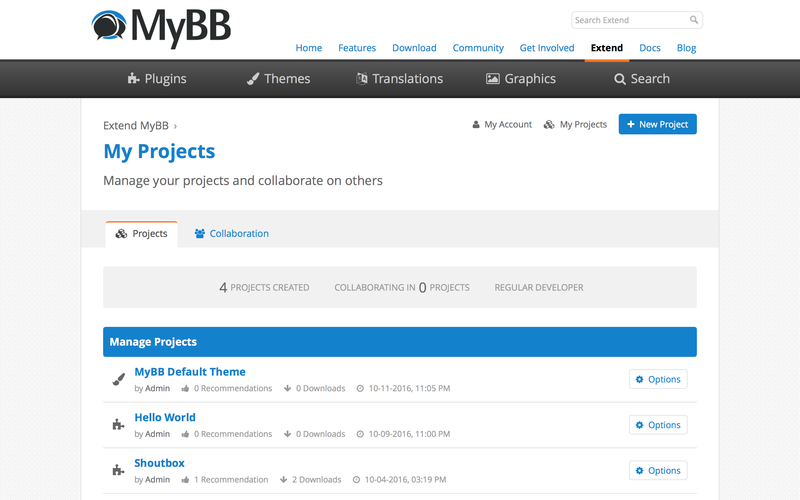 I am very excited to see what MyBB 2.0 brings to the table. IcyBoards is set up in such a way that we can host multiple versions of the software in parallel. We most likely will follow the same path we followed when MyBB 1.8 was released. Once MyBB 2.0 is made available in a stable release, we will begin providing hosting right away. At the same time, we will start working on a migration path for MyBB 1.8 users. We will continue to host and provide support for our MyBB 1.8 users as long as possible, if not indefinitely (to be determined). What was the most challenging thing to accomplish while developing IcyBoards? Believe it or not, the most challenging part of developing and running IcyBoards has been spam management. The majority of spammers are automated bots that join and post. They hit thousands and thousands of forums and sometimes make hundreds of posts per forum. If you’re an admin or moderator, it’s no problem. You log in and delete spam when you come across it. When you’re running a hosting service like IcyBoards, you are hosting tens thousands of forums on one system all sharing resources. When you get hundreds of bots making hundreds of posts on tens of thousands of forums, you get… a big mess. On top of this, you get old inactive forums where the staff are never logging in and the spam just accumulates. It’s not unusual for such forums to consume 30-40-50, or even more, gigabytes of database space. I developed several ways of detecting/blocking these posts over the past 1-2 years that have been working well. Do you have anything to add that hasn’t been mentioned in the earlier questions or answers? 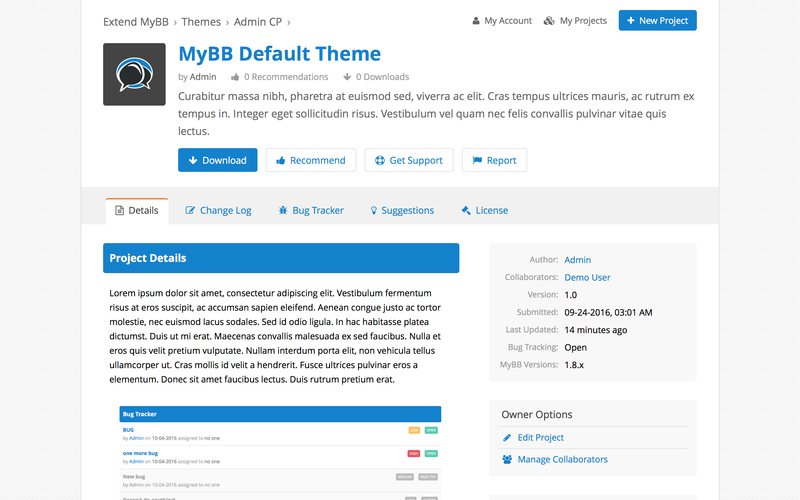 Most importantly, I would like to give a big thank you to all of the developers at MyBB. A service like this would not be possible without their long and hard work. Secondly, we are always looking for ways to improve our service and really appreciate suggestions. You may post suggestions in our thread in the “Showcase” forum. We recently contacted Sharree with an invitation to be featured as our first Big Board Owner (BBO) Interview. After seeing the results he has achieved with his MyBB forums, we were eager to hear his response. Fortunately for us, Sharree agreed to sit down and have a conversation with the MyBB Team. First of all, he has Sharree.com which is his first MyBB site, recently joined by a board which some of you may have recently seen in the Showcase section on the Community Forums — StoryMunch. The result of the advanced customization is amazing! Here are Sharree’s responses to our questions below. What inspired you to create your sites? Sharree is a site for small YouTubers to share and promote their videos. Being someone whose tried YouTube in the past, I know how disheartening it is to put a lot of time into a video and have little reaction or viewership. That is why I’ve aimed to create a platform that’ll ease the struggle for small beginner YouTube channels and bring more attention to them. There were two MyBB powered forums back in 2013 that got me interested in the software. The first was LeeFish’s BlackCanvas project which was an image gallery for sharing abstract art, the other was brad-t’s Harajuju, a Japanese fashion community. Both sites were heavily customized using the XThreads system, prior to these two I had only seen traditional forums so I was absolutely amazed at MyBB’s capabilities and what could be achieved through the MyBB software. I was inspired by them both and in 2015 it lead to me selecting MyBB to power my site Sharree.com. Do you have any exclusive plans for your sites? Currently Sharree is a YouTube sharing platform that allows YouTubers to share and promote their content with other YouTubers. It has been a little over a year since the site’s launch and I feel it’s time for change. I’ve decided to expand the site further by allowing other sharing options including Twitch streams, SoundCloud tracks, Graphics, and Websites. I feel the site should have more leeway for content creators, not just catering to YouTubers. There is so much talent out there that deserves to be discovered, so I hope to make Sharree the hub for all content creators to share their talent whether it be entertainers, musicians, artists, or any other craft. I am seeking more forum growth with these changes. Along with this expansion I am developing a new flat theme inspired by Dribbble, Flarum, and Shade’s MyBBoost. I have been working on these changes and I’m looking to have them implemented by early March 2017. What do you like about the MyBB software that allows you to create your sites as you desire? I love the flexibility of the software and the freedom in customization. To be able to develop themes, modify templates and have extensive plugin choices has allowed me to create my site as I desire. If it wasn’t for MyBB’s freedom, I would have likely selected another software. Being someone who had minimal CSS, HTML, PHP, and SQL knowledge prior to Sharree, my coding knowledge is completely self-taught through the flexibility of the MyBB software. Being a complete beginner, the ease of use of the software was a bonus. Navigating the Administration panels becomes increasingly easy over time and once you’ve adapted to the software it becomes your playground for creating anything. What would you recommend to people looking to start a forum? With giant platforms like Google+, Reddit, and Facebook groups, social communities for any topic have become readily available and can be created by anyone with ease. I’ve heard people say “There’s a Reddit for everything” or “There’s a Reddit for that”, the fact is giant platforms like Reddit have made it increasingly difficult for starting forums to gain traction. I feel because of these giant platforms, forums have become less popular and relevant compared to the 2000’s. Despite this added difficulty for new forum owners, getting a new forum on its feet is not impossible. Creating and launching a forum is the easiest part, I feel less thought goes into pre-development planning and having a marketing plan for post-development. Have everything thought out and thoroughly consider if your forum concept is something that the internet needs and is worth creating. After development, marketing becomes the bedrock of your forum, without it your forum will have no activity. This was the area where my focus was lacking in past projects and it is where I see most new forum owners lacking as well. Posting your forum in Showcase sections of web-development boards, begging users to join, and shutting down after a couple of months is not a marketing plan. Invest your time into your project, do your research, if you believe in your project then don’t shy away from spending some capital, and don’t jump ship when things don’t go as expected. This is what led to me becoming a Big Board Owner. What method(s) did you use to gain activity on your forums? After launching my site I began contacting YouTubers individually, telling them about my site and what it offers. I’ve created a website for those struggling and talented YouTubers who deserve to be brought to the forefront. The site’s concept is something that YouTuber’s really needed and it had many of the people I contacted rushing to join the site. The growth at the beginning was quite slow but seeing many of the positive comments from the YouTubers I contacted, I became more and more confident with the site. The method that brought the most activity to my forum is influencer marketing, in May 2016 I began contacting larger YouTubers who’d recommend my site to their subscribers. I was hesitant about the cost but the turnout was amazing as the forum surged with activity. The sudden influx of users had me upgrading my webhosting plan three times in one day. With the increased activity I began offering users an incentive for creating videos about Sharree where their YouTube channels would be featured in the header of the home page. As of February 2017 there are over 6,000 video results for Sharree.com, all helping bring further activity to the forum. What do you like most about the MyBB software? What I like most about MyBB is the freedom in the software. Being able to play around with templates allows me to mold the software into something unique that stands out from ordinary traditional forum layouts. 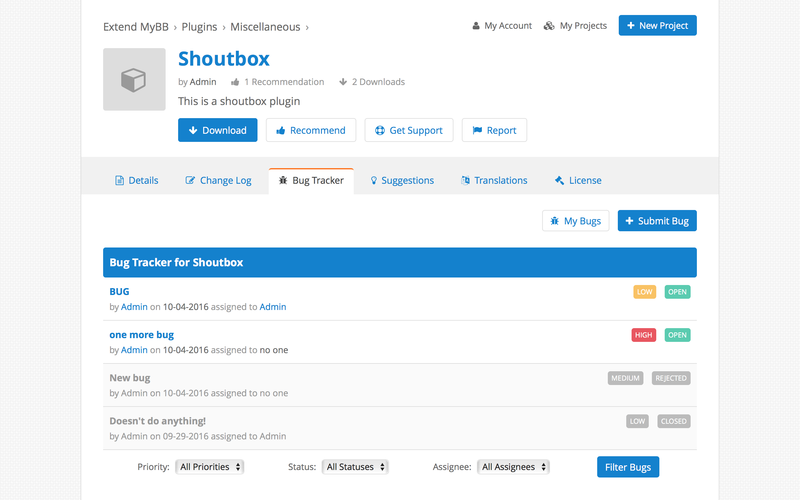 Plugins like XThreads and Template Conditionals by ZiNgA BuRgA are examples of the extensibility that the MyBB software offers, I don’t think turning a forum into a complete video, music, or image gallery would be possible with any other forum software. What is one thing that you regret most during your development time? One thing I regret is when my forum began getting a lot more activity, I panicked. Initially I was running the forum on my own with my friend Bobby helping with moderation. With the amount of reports we were getting we really needed more staff members, and we needed them fast. Instead of having applicants and selecting users best suited for the position, I chose the first users who volunteered. It was a disaster. To new forum owners, this should be obvious but I recommend you think thoroughly before giving users moderator privileges. How much time and effort do you put into maintaining the boards? On average about 20-30 hours a week are spent maintaining the board, sometimes more if big changes are being made or site updates are being implemented. Although most of the site’s development is done by me, I have to thank my staff team Jennifer, Shayne, and Ryan who help generate new ideas for the forum and ease the workload by voluntarily moderating the site on a daily basis. I’d also like to thank Sharree’s Mentor Team who voluntarily assist users by offering advice as well as their guidance. Can you share on your forums’ profits? I do not wish to reveal the exact amount I’m making through the forum, however to give you some idea of my forums’ profits: After one year of running the forum I felt secure enough to leave my part-time job and focus on my forum full-time. I am very grateful for my users as I am currently able to pay for my schooling without taking any student loans. What are you hoping 2.0 will bring to a site like yours? I am unsure if I will be upgrading Sharree to MyBB 2.0, it may be difficult to transition to the new version. Plugins that are essential for my forum’s functionality may need to be modified or completely rewritten although that cannot be answered until MyBB 2.0 is released. Based on the screenshots, videos, and demos I am very excited for its release. 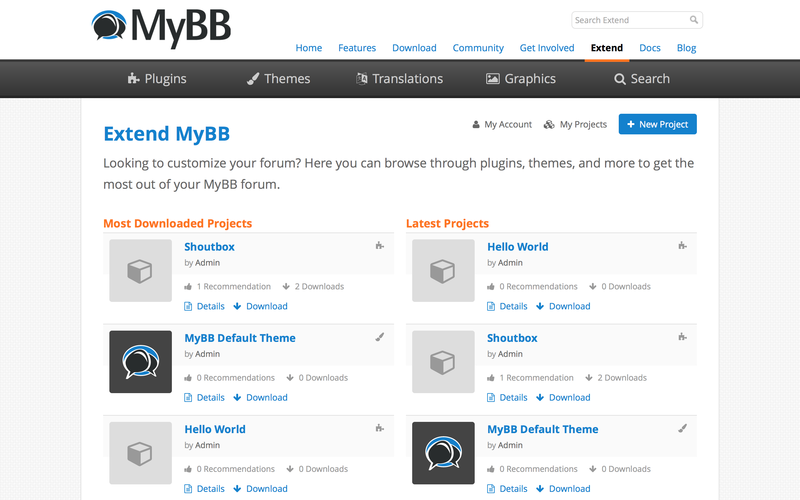 I will definitely download and experiment with MyBB 2.0 when it’s released, possibly using it in a future project. As there have been a number of changes to both the team structure and some development going on, we thought it was time to share some updates on what’s been happening behind the scenes. There have been a number of changes to the structure of the team over the last couple of months, with a few people leaving, some fresh new faces and some familiar faces returning to the team. All of these members left the team because they had limited time. We wish them all the best and we would welcome them back should they find the time to contribute to the project again. As well as departures, we also have some new (and some not-so-new) faces joining the ranks. dragonexpert – Recently joined the support team again! He has been helping clear the mods queue since he rejoined the team and we can only thank him for his hard work so far. Shade – Shade has rejoined us on the SQA team, we welcome him back and we are sure that he will contribute to the project. Brad-T – We invited brad to the team to help share his community management expertise with us. We are sure he will help with community issues! Matslom – If you have been following the 2.0 GitHub repo you will see Matslom has been contributing for some time now, including coding the warning system. Wildcard – Another old team member who joined us back, we welcome him back and we are sure he will contribute fully. JordanMussi – Jordan is also a old team member who has joined the community team, We are glad to have him back on board! It has been no secret for a while that we have had quite a back log of modification submissions waiting to be checked by the team as part of our extensive approval process. With a special thanks to dragonexpert and shade, the mods queue has taken a severe beating over the last couple of weeks, with there being no projects waiting for review for a short time for the first time in a long time! As ever, if you’ve submitted a project and not heard anything about it being approved or denied, please do feel free to create a new topic in the Private Inquiries forum. Over the recent weeks we have had a lot of development progress on the MyBB 1.8 series. A lot of issues have been either getting PR’s fixing them or we have been rejecting them due to the age of the 1.8 series. We have also been reviewing the 1.8 bugs forum and highlighting any issues we felt need to be fixed. We are looking to get the issues on GitHub to current issues that need to be fixed before we move complete focus (except security fixes) to 2.0. Due to the high amount of bug reports we have been unable to reply to every issue but we have compiled an internal list and we are looking at this. Recent development on the 2.0 series has been slow, but recently we have seen a large increase in contributions from outside the team. Matslom (who has since joined the team), for instance recently submitted a great Pull Request to add a warning system to 2.0 which has now been merged into the main branch. Additionally, Paradigm has been working on implementing an installer system for 2.0 – something that has been planned for a while and kept being bumped down the priority list. A lot of the discussion around these developments has been happening on the #20-development channel on the MyBB Discord server, and we would encourage anybody interested in contributing to the development of MyBB to pop in and see what’s going on!